I can count on one hand the number of times my youngest sister and I have been alone together. More specifically, I can count the number of times on two fingers. The first was around a decade ago, when I brought her to Take Our Kids to Work Day, less than a month before I switched to a new job. 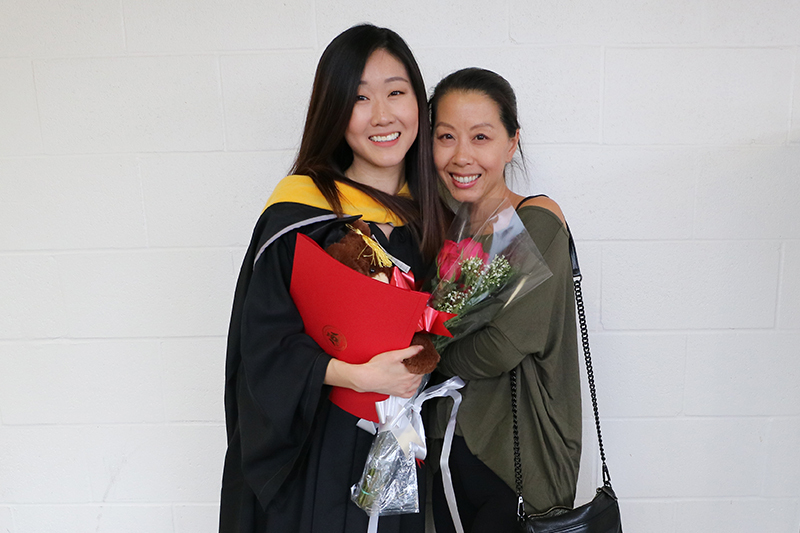 The second was this weekend, when we spent several stomach-bursting-definitely-not-eat-at-home-challenge hours together, the night before her convocation ceremony. I wasn't sure what to expect during our sister bonding adventure, but the hours flew by, and I had so much fun! In the past 24 hours, I discovered even more what an incredibly smart, hardworking, funny, open, generous, and kind person she is. Also, I can't believe my littlest sister is so much taller than me now. 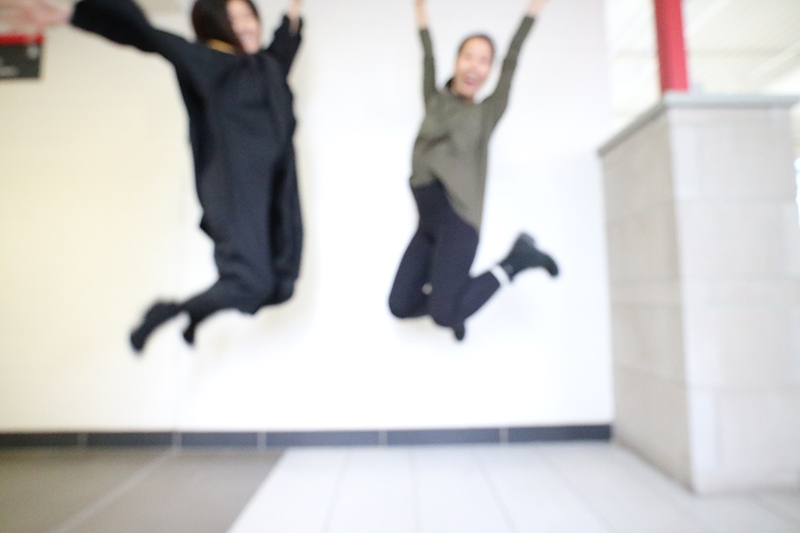 Following tradition with us three girls at convocation, we had to take some requisite jumping photos! Here's a little flashback to 2014 with both my beautiful sisters. Today's jumps didn't work out so well, but the new grad sure looks good in this one. 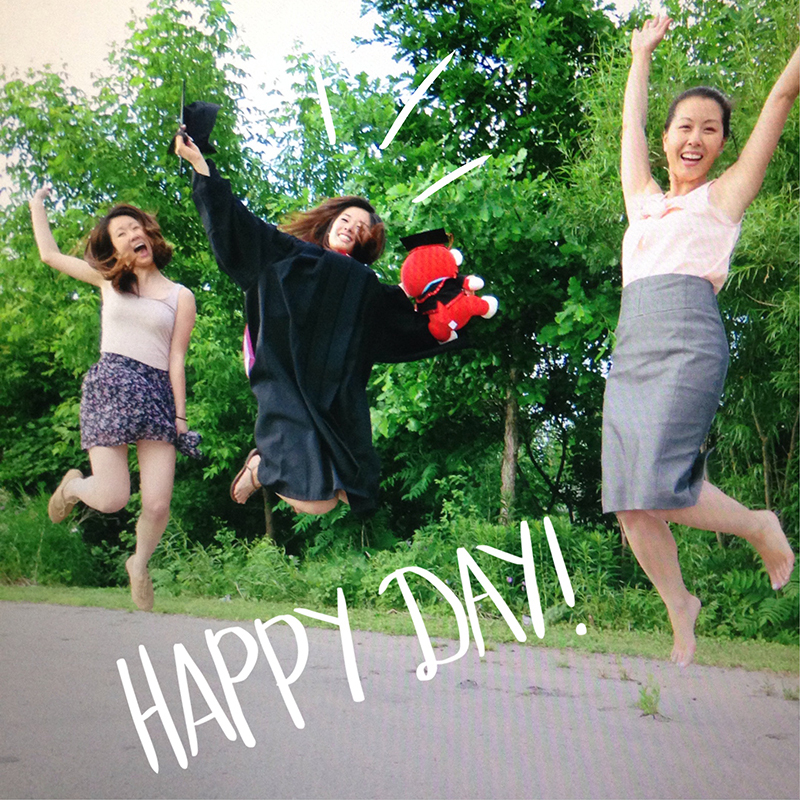 That jump is impressive especially considering her high heels!